What does Jackmail do to avoid being delivered in spam ? What should I do to ensure my emails get delivered ? 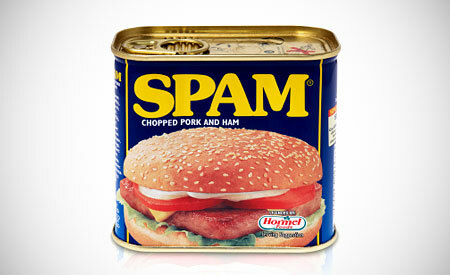 At first, SPAM was a brand of canned, precooked meat made by Hormel Foods Corporation. It’s meat sold in metal containers and mostly made from pork. SPAM is just food ! “The term spam is derived from the 1970 Spamsketch (see below) of the BBC television comedy series Monty Python’s Flying Circus. The sketch is set in a cafe where nearly every item on the menu includes Spam canned luncheon meat. As the waiter recites the Spam-filled menu, a chorus of Viking patrons drowns out all conversations with a song repeating “Spam, Spam, Spam, Spam… Spammity Spam! Wonderful Spam!”, hence spamming the dialogue. Later on the web, the word SPAM was used to refer to excessive multiple posting to answer a thread. Now SPAM means flooding the Internet with many copies of the same message, in an attempt to push the message to people who would not otherwise choose to receive it. At Jackmail, we are taking SPAM very seriously. Our goal is to adjust the performance and reputation of our servers to ensure your non-spam gets delivered. Since what you’re paying for is deliverability, Jackmail has to be inbox. It’s our duty to prevent mails going to spam. And most of all, we provide a manual monitoring of each email campaign to ensure the highest levels of deliverability and make sure we match anti-spam compliance and other email best practices. Even if Jackmail has its own powerful SMTP servers, there are tips you need to know in order to not get stucked in spam. Avoid titles containing trigger words. There is no magic keyword to enhance deliverability but limiting some of them could help you not land in spam folder. Topics such as promo (anything linked to discount and gains in fact), ipad, iphone, viagra, fortune telling, bets … should be avoided. And don’t try to use tricks (Pr0m0, 0ffer$ etc..), bots are machines, but they aren’t stupid. Get on whitelist. Asking your recipients to whitelist you by adding your sender or domain name to their trusted list might help you. Clean your email list. Segment your contact list and send the right message to the right people. Never forget to clean your list by excluding bad email or unsubscribes. Text/Image ratio. The best practice here is to have 60/40 text-to-image ratio in your email. If your recipient kept images off, what’s left ? Only red crosses. Therefore, having text will help ISPs to scan your content and read keywords. Purchased, rented or scraped lists. If you have ever wanted to be in spam, just give a purchased list a try . 100% Guaranteed. There’s no better way to go to spam as trying rented, purchased or even scraped lists. But why ? There are lots of spamtraps in purchased lists and spam filters know them. As soon as they see some of these sneaky emails, you can be sure you will be in spam. Considering these lists are the highest risk of being spammed/blacklisted, Jackmail will not route a campaign to any of these lists with our servers. Opt-in forms : Having the best quality list is a key to success. In order to get it, use opt-in forms to collect emails. There’s no better way! Don’t wait too long between 2 campaigns Every spam filter will check your e-reputation and needs to see you to know you. If you send a newsletter 1 or 2 times a year, it won’t be enough to build your e-reputation. Unsubscribe link Golden rule : never forget the unsubscribe link. It’s the start of every newsletter. No need to argue since it’s a legal obligation and spam filters will knock you hard if you forget it.